Since our founding in 1999, XOTIC PC INC. has become one of the nation's largest SIs (System Integrators) and has relationships with all of the top computer component and software companies in the world including Intel, AMD, NVIDIA, Microsoft, and many more. At XOTIC PC, we build some of the most highly regarded computing solutions in the industry for demanding customers who need the highest performance machines with the most reliable components. XOTIC PC is also highly regarded for our excellent customer service and technical support quality. ORIGIN PC delivers the best gaming experience period, but what does that mean? It means the best parts and technology the computer gaming industry has to offer. It means world class support from day one and ORIGIN PC's support never ends. It means having a team of people who understand the art of elite system building and maintenance, standing by to assist you when you need it. It means never having to feel you made the wrong choice. Any company can build a PC, but few can build a custom gaming PC worthy of playing the latest games. Many claim to offer gaming PCs, but they don't deliver a complete gaming experience. A real gaming PC must be focused on Customization, Service, Gaming, and Technology. This is ORIGIN PC's specialty. Digital Storm has been in business since 2002, in that time its reputation as a premiere system integrator has grown exponentially. Digital Storm’s driving philosophy is to deliver to its customers cutting-edge technology and performance along with rock-solid support. As a validation of Digital Storm’s success the company has retained an “A+” rating from the Better Business Bureau. Digital Storm produces some of the fastest gaming computers in the market. It is constantly pushing the boundaries of performance so that its customers will enjoy a gaming experience unmatched by any of Digital Storm’s competitors. Xidax was founded by a crew of PC gaming enthusiasts with the vision to change the way people buy gaming pcs online. Nowhere else can you buy a desktop computer and expect a lifetime parts and labor warranty. That's how much we stand behind the quality of our builds. All Xidax laptop computers also come with a lifetime service warranty in addition to 2-year of parts coverage. Whether you purchase a desktop or laptop computer from Xidax, be assured that we take the most pride in the quality of our builds and truly taking care of our customers. We recommend to check our partner AVADirect who builds custom computers based on widest component selection. 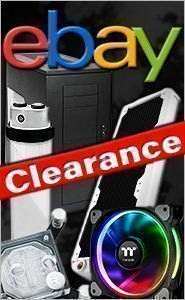 They specialize in Gaming PC, workstations, Gaming Notebooks, and much more. Visit their web site to build your custom system if you don't have time to build on your own and expect the highest quality with attention to detail. If you have a computer technology related website and would like to add it to the Performance-PCs.com Resources Directory, simply link back to Performance-PCs using the instructions provided below and email us at webmaster@performance-pcs.com, we will review your website and its content for compliancy with our guidelines and add your URL immediately. Performance-PCs.com specializes in the modification of high end computer cases and power supplies, as well as, offering a huge inventory of unique specialty hardware items. This includes products for that extremely popular new world of water cooling. Performance-PCs.com strives to put together computer cases using the latest-greatest hardware that incorporates some of the coolest mods on the Net. All Performance-PCs.com cases and modified power supplies are unique and one-of-a-kind. You won't have to worry about some neighbor having the same mass produced, alien headed box as you. Notes: Your website will be removed from our directory automatically as soon you remove a link to Performance PCs from your website. We do not participate in link exchange programs with websites and resources that are irrelevant to computer technology and related topics.